The next day they took the road to Ralfen across the wide fields of Damintor. To their right rose the beginnings of the foothills of the Adroqin Vohimar, said to be the mightiest mountains across all of Lon-Elah. 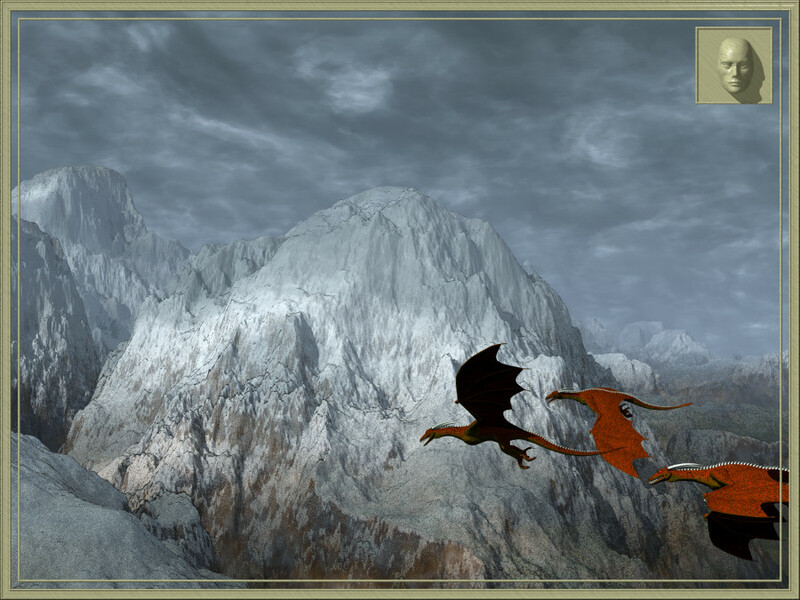 It was difficult to say which of the four great mountain ranges was actually the greatest, but one thing was certain – the Adroqin Vohimar were the highest. In the midst of the range tall Kasaveh was set, highest of all, abode of Vovin, eternally crowned with snow. Few had ever tried to climb its perilous heights to the very top. None had succeeded. The Vovin kept their own.